During the first months in 2015 Dave Ortiz has created a new body of work entirely dedicated to the silkscreen printing process evoked and enabled by his residency at the Gowanus Print Lab in Brooklyn. The process of silk screen printing is by many considered as the artisanal approach to printing requiring manual intervention by the artist in the context of a medium of mass production. This manual intervention is what attracts Ortiz to the medium of silkscreen print - it provides the perfect translation of his artistic challenge to leverage and express his individual and highly personal experience within the context of a mass production. Originally conceived as a playful print exploration on Boricua heritage in the face of white American pop art, “The Goya Series” has become a very personal project for the artist in the review and analysis of this own life and family history, the challenges of family dysfunction alongside the examination of corporate influence and branding on Hispanic culture. 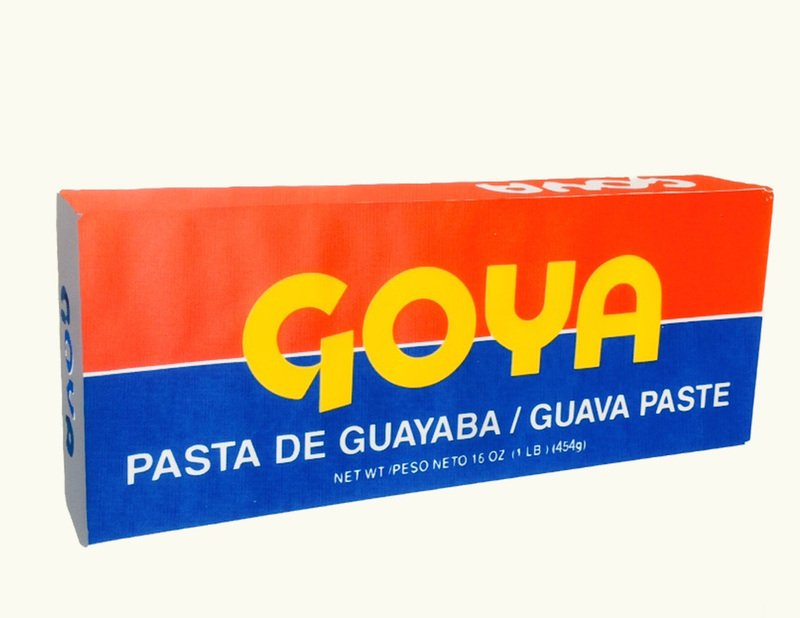 The Goya Brand evokes memories for nearly every Puerto Rican. In this body of work Ortiz deals with the topic of identity as Nuyorican, his Boricua heritage, culture and childhood memories. 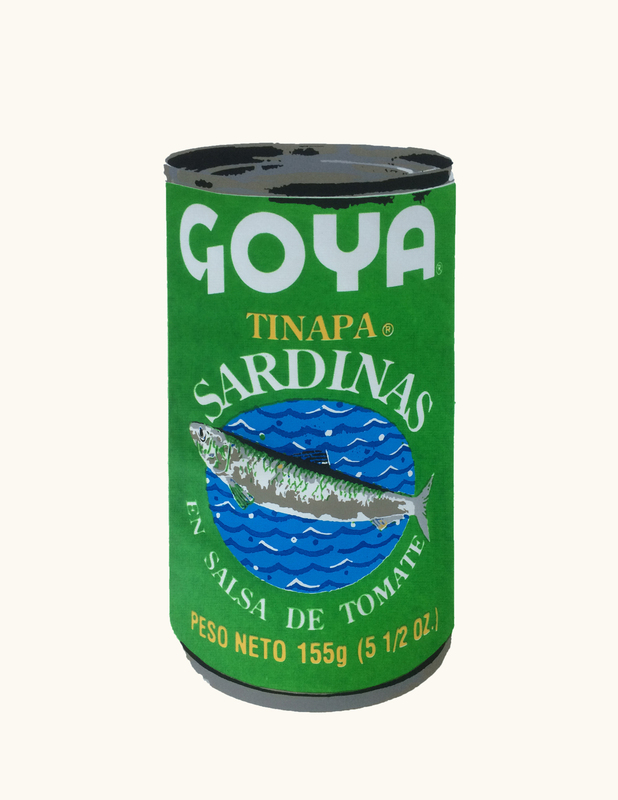 “The Goya Series” portraits of mundane everyday items are based on the list of menu staples at the Ortiz household in the 70s. On one level they present a cheeky tribute to Andy Warhol’s iconic Campbell soup can's reflection of Americana, yet they even more so speak to the "colored" American realty of one brand defining cultural values and feeding generations of Hispanics. The Goya Series also is part of an interactive installation project “Bodega Ortiz” and part of a larger heritage project the artist has been working on for the last 2 years. After being introduced to Dave Ortiz work in 2015 the Goya brand hired the artist to design their parade float incorporating his artwork for the 2016 summer parade season.